Download the new Opera Max with privacy mode for free. 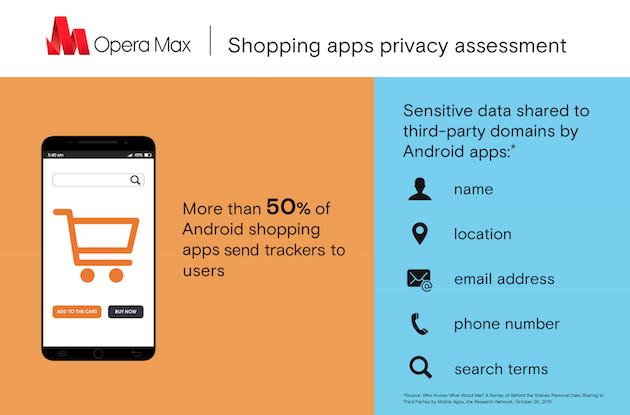 These results are from a test we have done on the 60 most popular shopping apps in ten countries, including Brazil, France, Germany, India, Indonesia, Russia, South Africa, United States, United Kingdom and Vietnam. We tested them on Wi-Fi networks and made at least 100 requests within each app by browsing random products. Then we recorded the result based on what was shown on the timeline of Opera Max’s privacy mode.